Chauffeur driven passengers to alight at Gate # 7 of Pragati Maidan for direct entry into Hall 8-11. 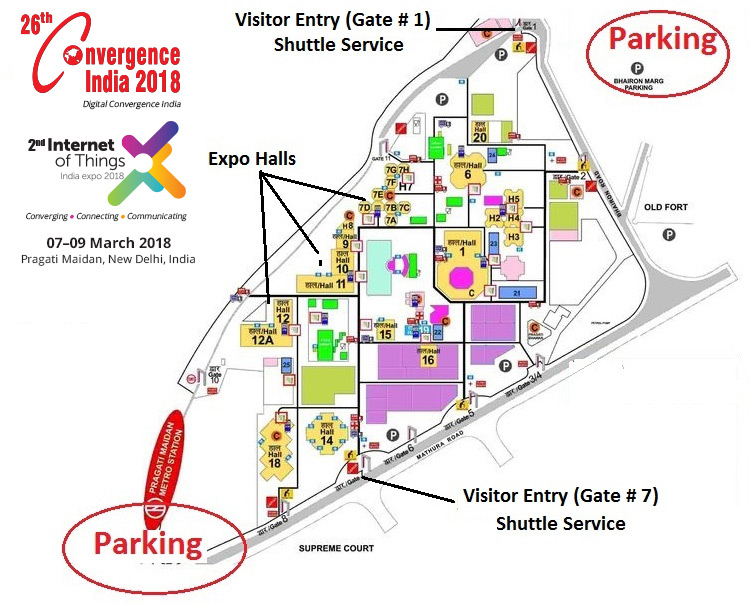 Self driven cars with parking labels to enter through Gate # 1 and park their cars at the designated parking area and take free shuttle to Hall 8-12. Metro Station at Pragati Maidan. 5 mins walk to Gate # 7 for direct entry into Hall 8-12.